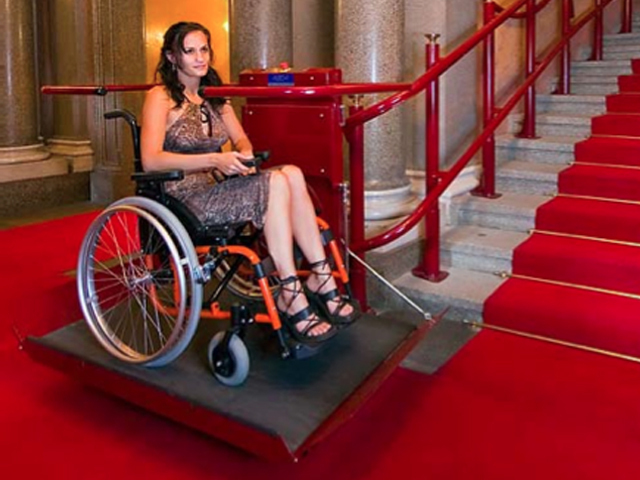 How accessible is your NY home or building to wheelchairs? 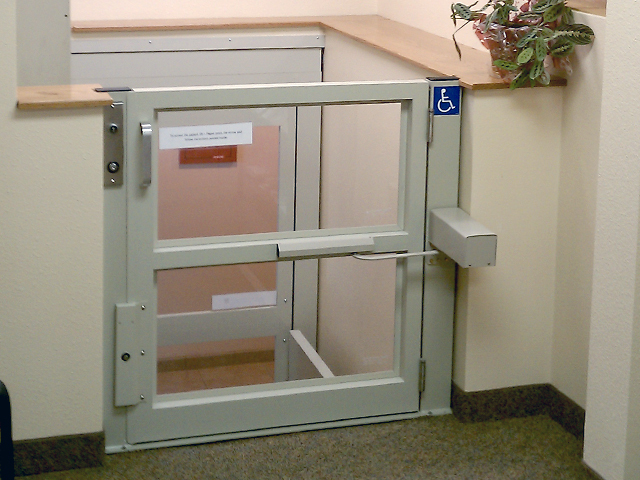 When improvements could be made, find a solution with Apex Wheelchair Lifts from Nationwide Lifts. 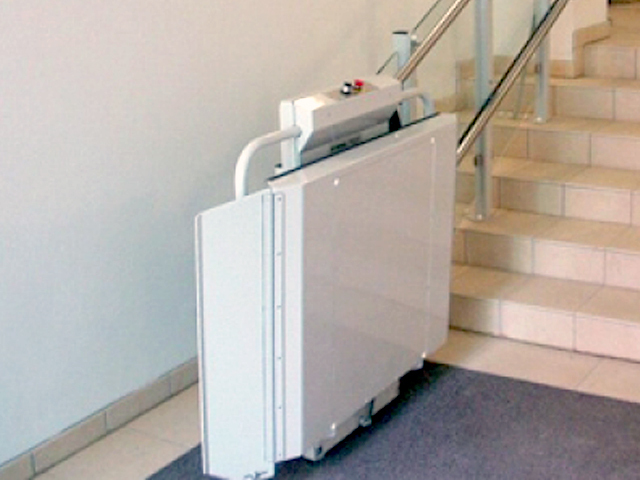 Vertical systems, with a screw or hydraulic drive, or inclined lifts dependably take wheelchair and motor scooter users to a whole new level. 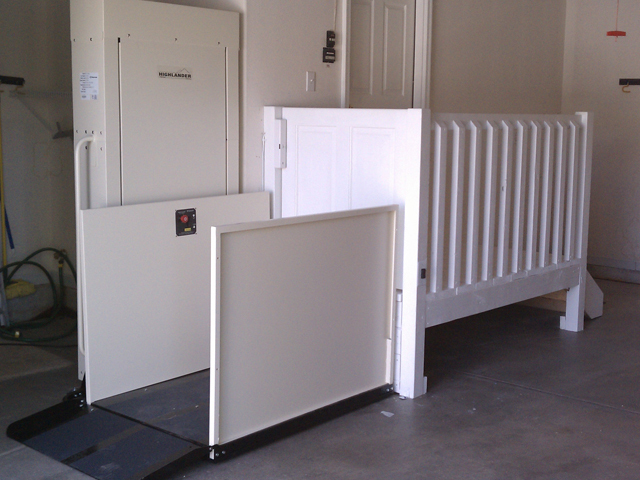 Along with maintaining ADA compliance, the wheelchair lifts effectively modify indoor, outdoor, commercial, and residential spaces. 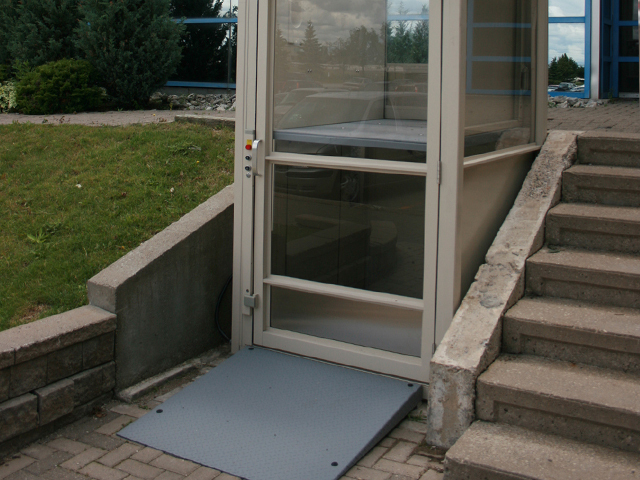 All of Nationwide Lifts' vertical wheelchair lifts support up to 750 pounds, offer a skid-free 36"x54" surface (different sizes available) and safety sensors, and do not require a pit. 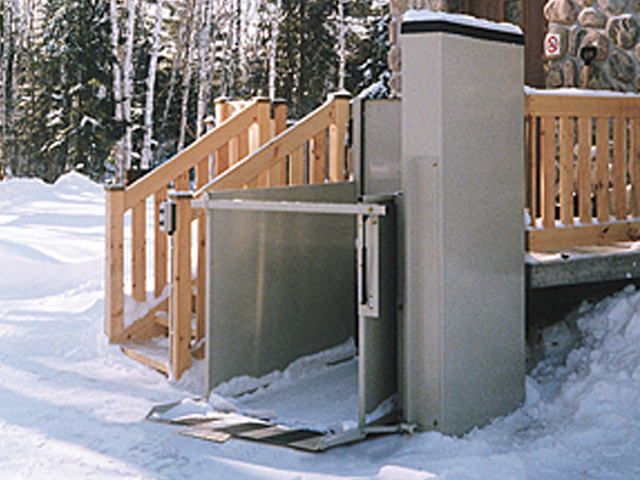 This screw-drive wheelchair lift travels a maximum distance 14 ft. Each system comes equipped with 42-inch side guard panels. This unit is ideal for outdoor applications. 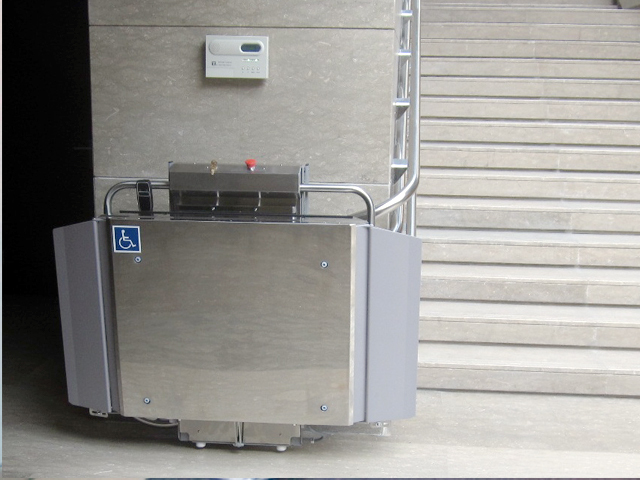 This hydraulic wheelchair lift accommodates distances up to 14 feet. To have it match your home or building, select from acrylic inserts and multiple custom colors. Get the functionality of the Apex Hydro or Apex Green inside a fully-enclosed fixture that travels up to 14 feet over 2-3 stops. 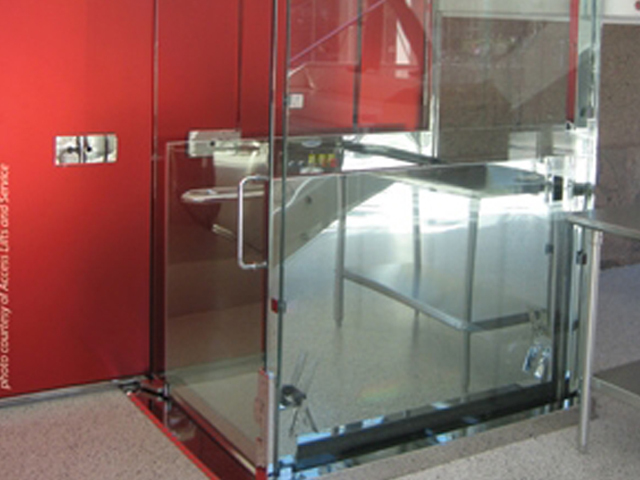 Each corrosion-resistant wheelchair lift features painted steel, clear acrylic, or tinted acrylic panels. 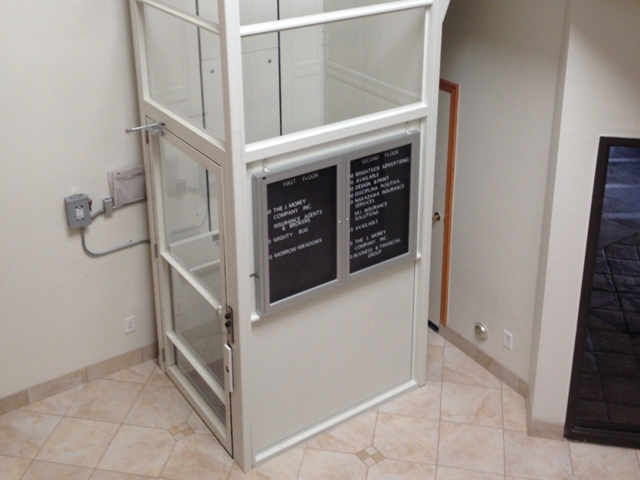 This luxury lift is perfect for high-end residential and commercial buildings. For the appearance, select from stainless steel and metal finishes and glass panels. 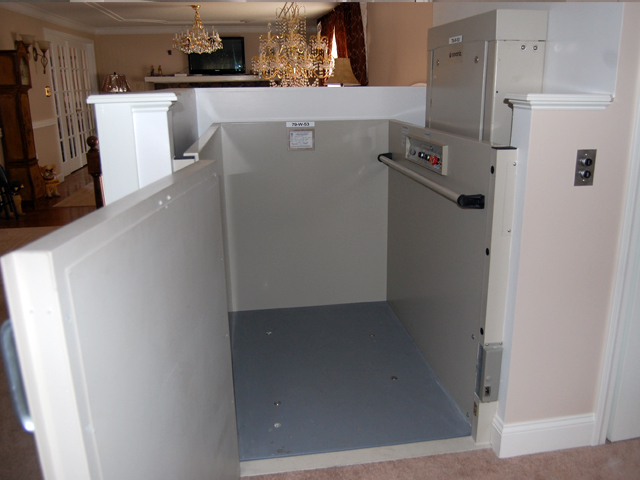 Our inclined lifts all operate along a rail or track that mounts alongside a staircase. A non-skid platform folds up at both ends. 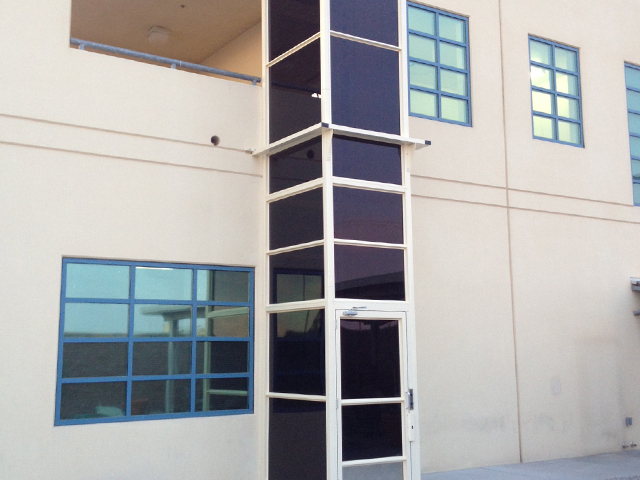 This inclined lift features a platform that travels up to 82 feet along a straight staircase. Each system has a 550- or 660-pound capacity. 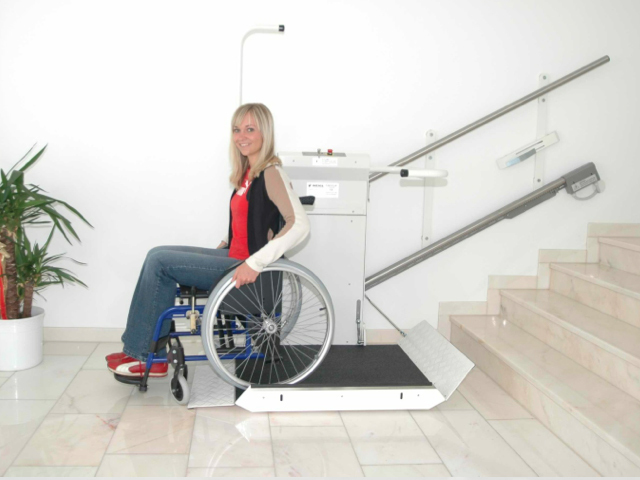 As an inclined lift for curved stairs , the Omega IPL extends up to 164 feet. Its platform has a 550-pound capacity.